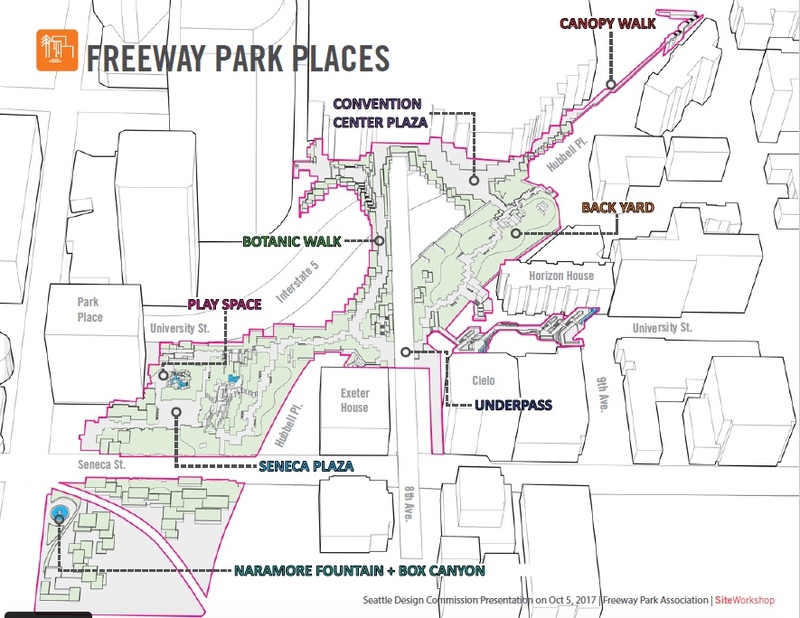 With the completion of initial community-engagement efforts and a recent approval by the Seattle Design Commission, the extent of potential changes coming to Seattle’s visionary Freeway Park are beginning to come into finer relief. 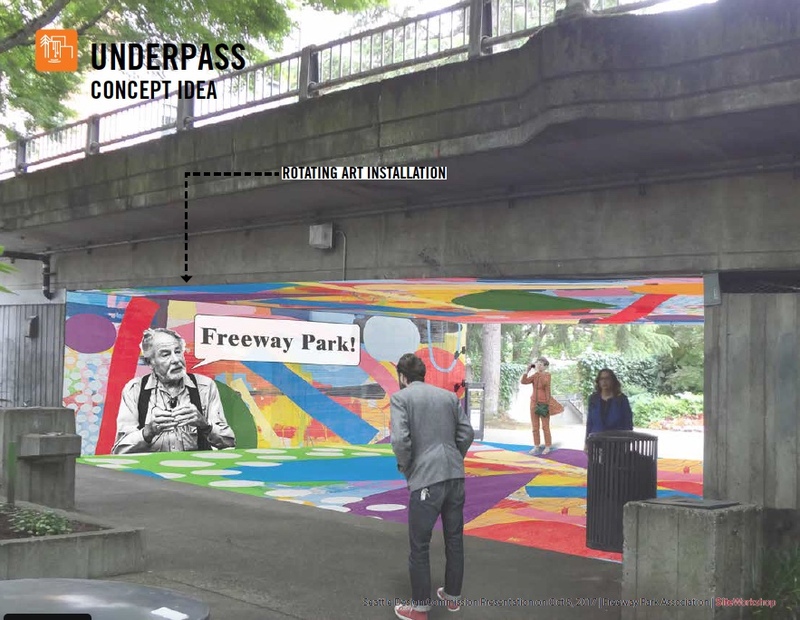 The late modern freeway cap park designed by Lawrence Halprin and Angela Danadjieva spans a downtown section of Interstate-5 and is undergoing community-driven wayfinding upgrades aimed at boosting the park’s pedestrian visibility and its diversity of uses. 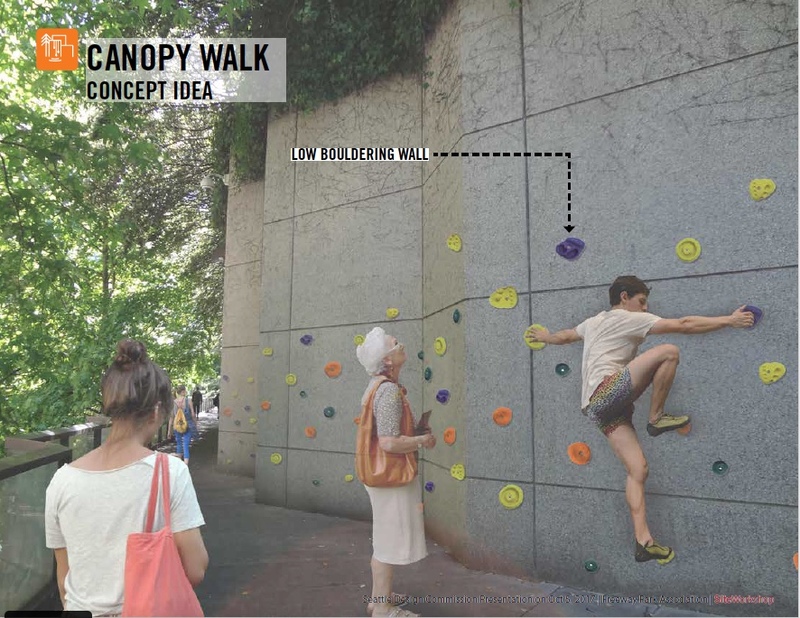 Potential changes include the installation of a bandshell, new restroom facilities, a food kiosk, a playground, and even a bouldering wall, Capitol Hill Times reports. 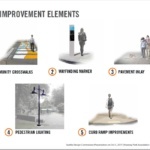 The additional functionality will also come with cosmetic and safety-oriented upgrades like increased street lighting, new signage, and the addition of visual markers and colorful paving aimed at drawing more people to and through the 5.2-acre park. 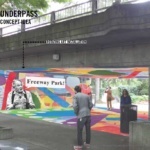 The changes were initially led by the Freeway Park Association (FPA), a nonprofit steward of the park. 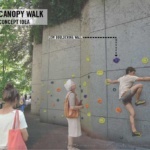 FPA hired local landscape architects Site Workshop to design improvements for the park. 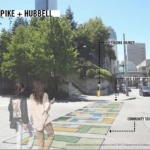 The team is now joined by the Washington State Convention Center (WSCC), which is contributing $10 million toward the renovations as part of a public benefits package associated with its own expansion plans. 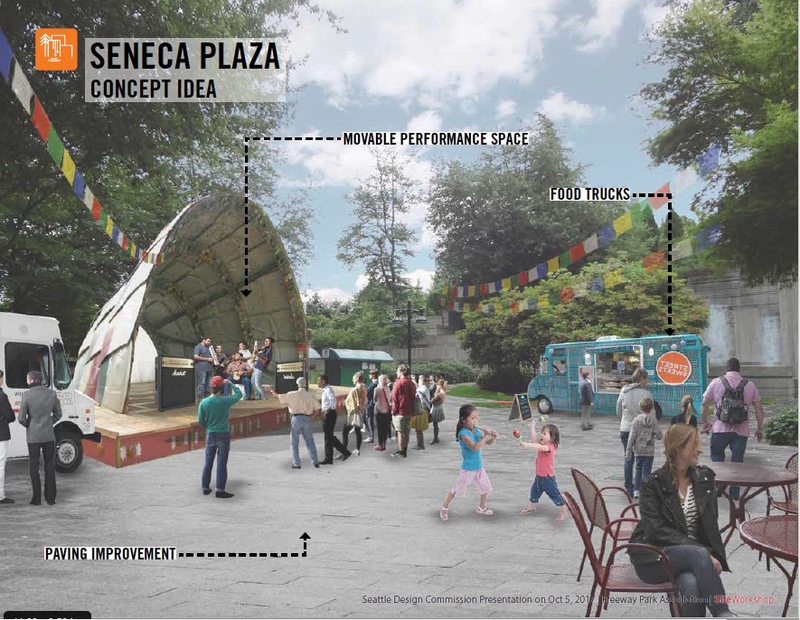 WSCC’s funds would be utilized by the Seattle Parks and Recreation department to implement the design solutions generated via FPA and Site Workshop’s efforts. 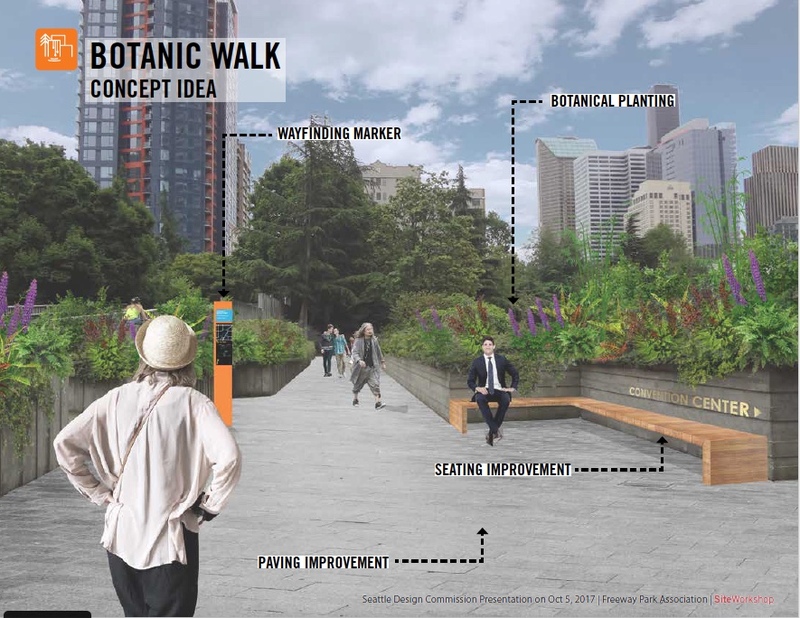 That effort will be joined by a Seattle Department of Transportation initiative aimed at sprucing up seven of the park’s entrances. The proposed changes come as the 44-year-old park and its constituent “freeway vernacular” aesthetic of board-formed concrete and clustered, stepped terraces and fountains becomes surrounded by an ever-increasing number of corporate office and condominium towers. 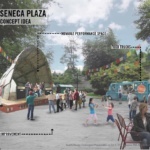 As the neighborhood around the park has densified, portions of the site have fallen into shadow and some the meandering park’s many entrances have become obscured by new development. 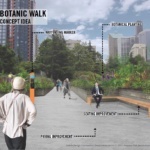 The resulting disuse has rendered one of Seattle’s largest urban parks dangerous—a person was murdered there in 2005, a crime at least partially blamed by some on the park’s overgrown state. 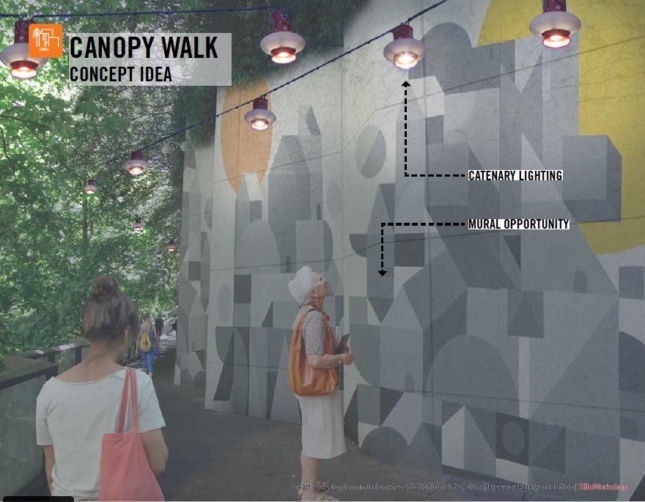 And while the planned changes are surely being pursued with good intentions, it remains to be seen what existential impact the renovations will have on what is widely considered a seminal work of landscape architecture designed by some of the field’s leading figures. 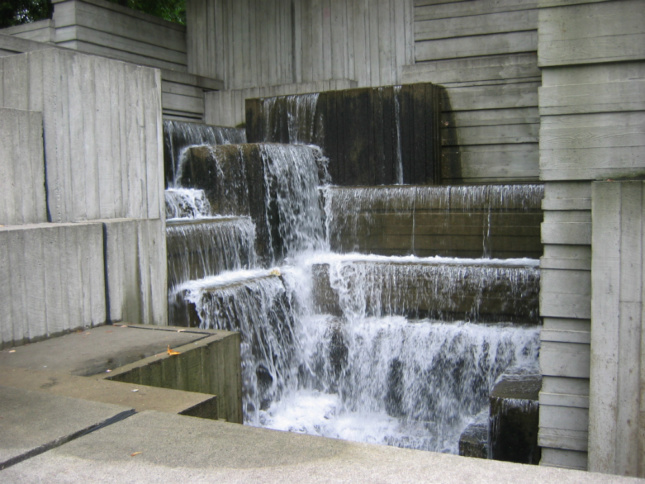 Freeway Park was among a collection of Seattle-area parks listed in a compendium created by The Cultural Landscape Foundation (TCLF) highlighting threatened nationally-significant landscapes. 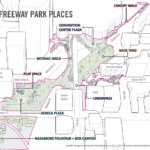 In a press release announcing the list, TCLF describes the proposed changes to the park as “incompatible” the park’s original design. 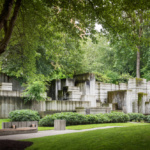 As the world’s first freeway cap park, Halprin and Danadjieva’s designs helped to bring landscape architecture into the postmodern era by challenging the totality of both the freeway and the prototypical American lawn simultaneously by stacking one above the over. 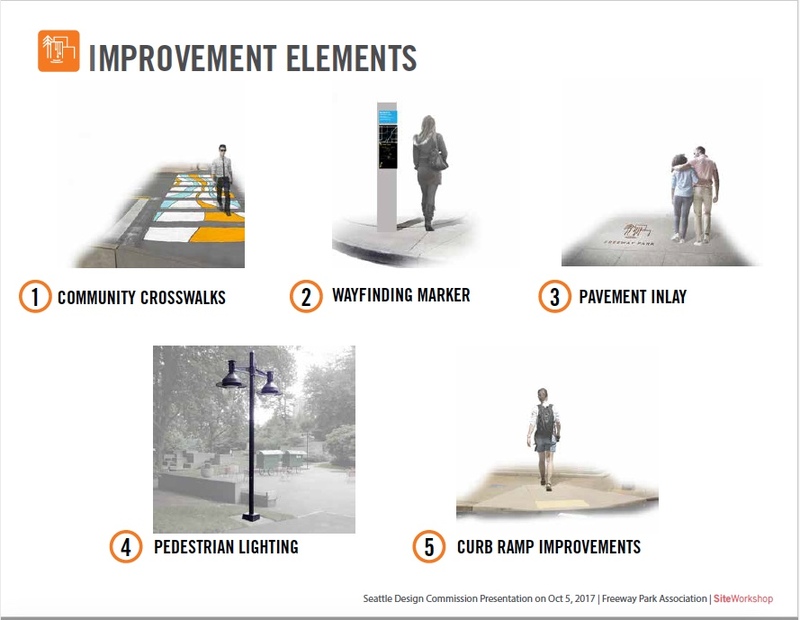 Designs for the park were widely published upon its completion, providing a brief but nuanced window into a bleeding edge of design and urbanism trends that would not gain common currency for decades. 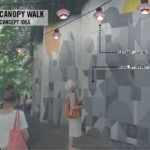 Today, urban freeway cap parks are allowing cities across the world to retake precious space from cars by healing some of the physical scars resulting from the initial build-out of automobile highways. 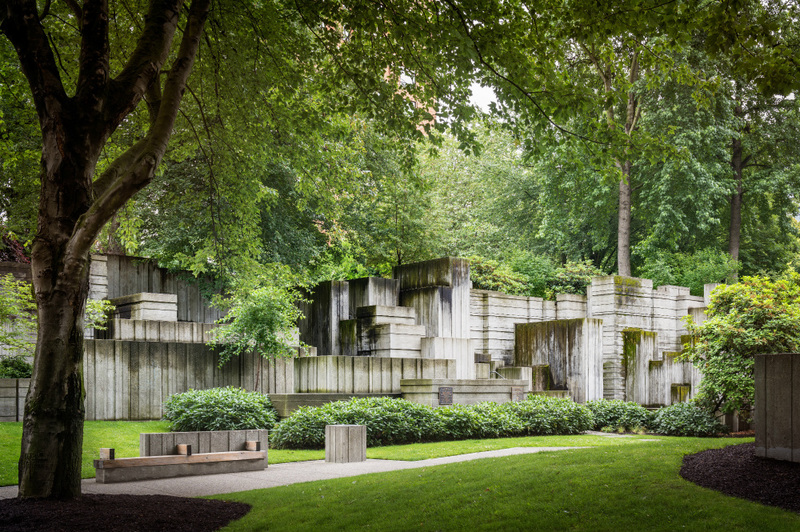 Freeway Park’s layered array of winding, concrete paths and terraces dared to postulate that areas above and around freeways could be wonderful places too, a direct rebuke to much of that era’s urban planning regimes. 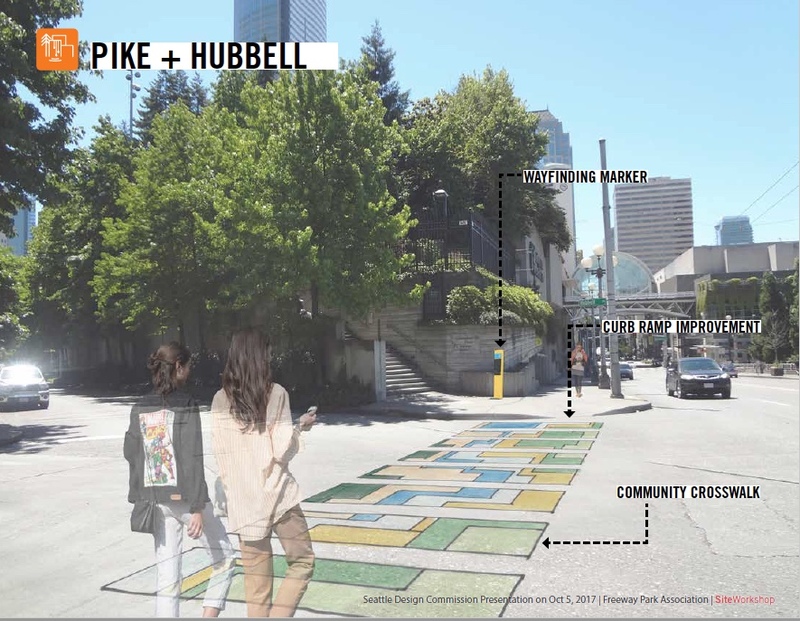 A question for today is whether some of the most lasting effects of that era—grit, grime, and yes, darkness—have a place in the urban parks of tomorrow.